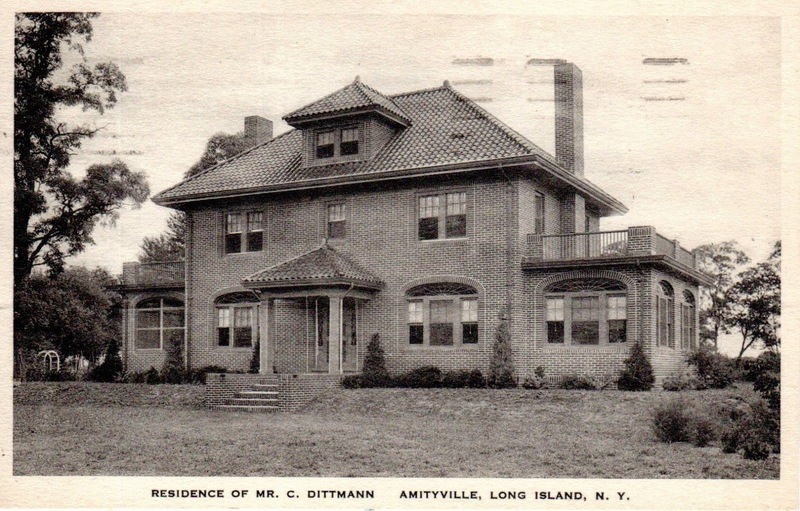 The Christian Philip Dittmann residence in Amityville. Following Dittmann's death the residence was willed to the First United Methodist Church which sits next door. Click HERE to see the Dittmann residence on bing. This is the sort of substantial suburban house that has always appealed to me. Is this the first appearance of Amityville on Old Long Island? This is a great little book on some of the South Shore estates. Yes...first time. I don't even have a label for it (it doesn't fit into any of my preexisting ones). I agree with Magnus; this is a good looking, substantial house that appears to still have its original tile roof. The Methodists have done well by it. Would this be considered an estate? No. It's just a label. What a great house! I often visit the thrift shop just to see the interior! Great tile work in the sun porch and kitchen and a wonderful greentile roof. Ugh, is there anything more beautiful than a green tile roof? Anon 6:59pm, the answer to your question is: No. Stopped by today, 12/4/14 the beautiful tile roof is being removed, despite hundreds of new tiles stored in the basement.